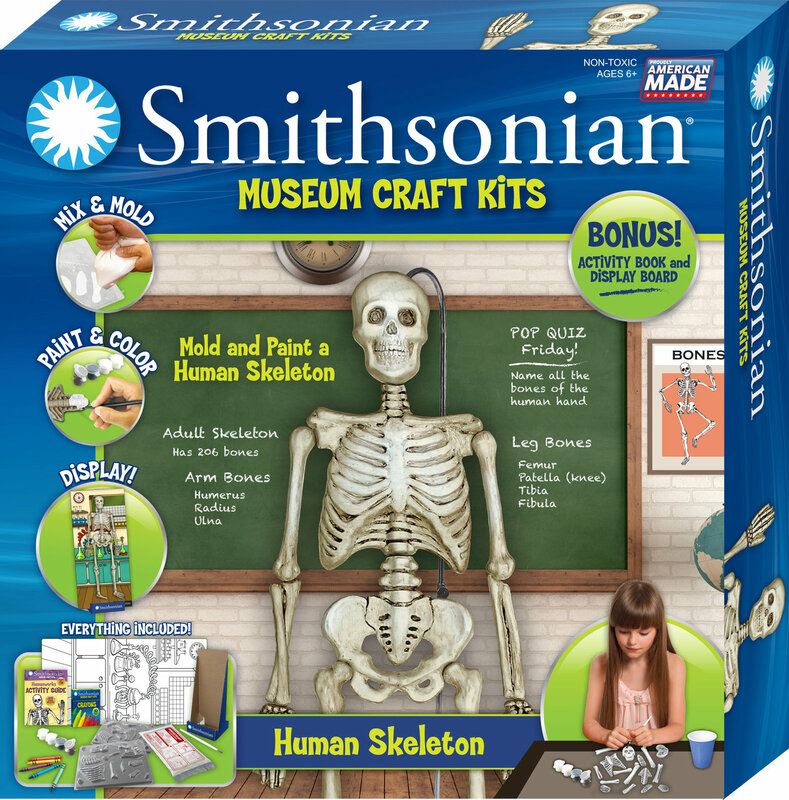 Smithsonian Museum Craft Kits combine learning, discovery, and education all in one exciting journey. This Human Skeleton kit is loaded with activities such as 3D casting, coloring, and a bonus educational activity book packed with facts and fun. Children will have a hands on learning adventure they can share with everyone. Non-toxic. Ages 6 and up. Made in the USA.